I watched Barack Obama's full speech at University of Illinois and was inspired. He is speaking reasonable language and talks about how progression is not perfection and finding common ground isn't mythical. Obama promotes a pursuit of better. If we pursue a politics that ensures better for all and not some, then we are facing progression. I knew I was going to post his speech, but then I read the youtube titles. Barack Obama was accepting an award. An "ethics in government" award. Ethics. The conviction to morals. Morals. Standards of belief. In short, doing what one thinks is right. We hold different morals. We hold different ideals about right and wrong. We hold to a flowing code of ethics that will ebb and flow with the influx of experience. We are at a crossroads of ethical decisions. As a former journalism teacher, I hold the freedom of press and speech dearly and want it protected. So I was saddened when I went to grab a version of this speech, this speech in which Obama was receiving an award for ethical governing, when former President Obama was talking about the ethical decisions he took while in office was entitled with words like slams, rips, and bashes. Did he criticize what is happening in the White House? Yes. Did he acknowledge his bias as a Democrat? Yes. Did he slam no. Because he was receiving the Paul H. Douglas award honoring his ethics, his adherence to a moral code in which he believes when we all do better, we all do better. Also, in his hour long speech, Obama encouraged people to learn from history, he shows how what we are facing is not unique, but it is extraordinary. He focuses on the necessity of every vote, regardless of beliefs, because each and every vote is what counts in the experiment of self governance and free democracy. But that was lost in headlines that included words like scathing, rebukes, and diatribe. We are asked to cut through a lot of noise. Where we grab our videos from, the sources we promote say something to someone everywhere. I did the best I could. I looked for a youtube title that indicated exactly what was happening, and I found it from Time. It is an hour that is worth your time, no matter what side of politics you resonate with. It is about voting, progress, and finding/standing on common ground. The ability to select out of balanced news into an echo chamber is a concern for reasonable communicators, or reasonables. It doesn’t lead to a respectful conversation. The echo chamber effect has made it harder for reasonables to enter the ring for fear of a disrespectful, dirty fight, which is a result of people opting out of balanced inputs. We are used to this bell curve in the blue, one that shows a moderate majority, but in October, 2017 we inverted. With the inversion came the increase of polarization. The echo chamber effect, only hearing the arguments that agree with one’s own values, encourages insulated ideals. Those ideals develop a false sense of comfort that bolsters biases and allows us to cut out what does not align with our values. Dr. Amit Sood, Professor of Medicine at Mayo Clinic and author says, “our [brain] system is biased to focus on the negative, threats, imperfections, [and] regrets.” When we meet someone for the first time, in seven seconds, we create a perception of them using our negative bias. Our negative bias kept us safe from potential threats and harm, which was important when saber tooth tigers walked the earth. As we evolved, we have less tigers—literal and perceived—to consider, but our brains still default to this outdated mode. What if we re-trained our brains to add an eighth second? What if in that eighth second we decided to question our negative bias to see if it was making a tiger where there wasn’t one? Questioning our own beliefs or constructs, and considering what information we hinge them on, is vital to understanding others. Challenging known constructs is not a betrayal, it is a reflection that considers if a belief is still valid in our current circumstances. In his book, The Subtle Art of Not Giving a F*ck, Mark Manson states, “We shouldn’t seek to find the ultimate ‘right’ answer for ourselves, but rather, we should seek to chip away at the ways that we’re wrong today so that we can be a little less wrong tomorrow.” Certainty solidifies the polarized individual, and if left unchallenged, will make the person obsolete. History reveals new ways of thinking through research, technology, and archeology. If we open our minds and not immediately label a change in thought as hypocrisy, then we start to repeal the polarized oppositions and move toward an appreciation for different instead of a fear of other. The problem indicates a stalling in progress. If we aren’t willing to hear and consider another’s perspective, we miss an opportunity to grow and learn. If we stand by and allow people to stay in their comfortable echo chambers, then we will miss opportunities to make gains as a society. When we LACE UP, we actively engage in the full conversation, we start to build up the bridges between the two extremes, and we bump the middle of the bell curve up. The middle is indicative of the reasonables, which is where they will rise: in the middle of the ring, seen. I taught high school English for sixteen years. We discussed big issues, debatable issues, value-based issues. We did so with reason and civility. I taught through the rise of social media, cyber-bullying and snapchat. We talked about those issues too. There wasn’t one year that was better at it than another. There wasn’t one class in which the art of discourse was their birthright. They studied communications. They studied value propositions. They became artists of the spoken word and skilled orators. We had moments when students would excuse themselves to walk it off. We had moments in which I would table the conversation for the day so they could take time to reflect on why it was getting heated. When we returned the next day, they had rich, deep thoughts about the nuance of definitions and compromises to the either/or fallacy that had created a divide in the class. When I walked down the hall from the classroom and entered conversation with others, it became clear that societally we were less intentional about communication and, perhaps, were taking all the avenues of inputs and outputs for granted. When the internet opened up the global library, it was like a firehose of information, and nearly impossible at that speed to figure out what was worthy and creditable. It hurt when we stood in front of the stream and it knocked us over. We built throttles through filters so we could narrow the stream, decrease the intensity, and get closer to the information we were seeking. It was a brilliant and detrimental tool we created. We could decrease the pressure of information to a trickle from only the sources that resonated with our current values and eliminate any counter arguments. We created an insular chamber in which only our current viewpoints bounced off the walls echoing and validating our stance over and over. These echo chambers are pulling people apart and perpetuating the either/or arguments and fueling anger, resentment, and fear. Unfortunately, we have a tendency to destroy what we do not understand so we preserve what is known, even if it isn’t good for us. Afraid of spiders? Kill them, even if it is a daddy long legs, that actually isn’t a spider at all and doesn’t bite. Afraid of snakes? Kill them. Even if it is a garter snake, that isn’t dangerous to humans and eats small vermin and insects in the garden. But when we don’t understand something, and we react without thought or on assumptions (all spiders and snakes are bad), we destroy and create divides. As I listened to those around me, I heard the echo chamber sayings bouncing around, but no true dialogue happening. When I looked, I saw people closed off, hiding behind their chamber walls, hurling anger bombs haphazardly with no concern where they landed. They created craters and uneven ground. They created fear and distrust with people never truly seen or heard. They created divides. The art of communicating has been studies and written about for centuries, it isn’t a new concept, but like unused muscles, our ability to artfully communicate can and will atrophy without practice, without concentrated effort. 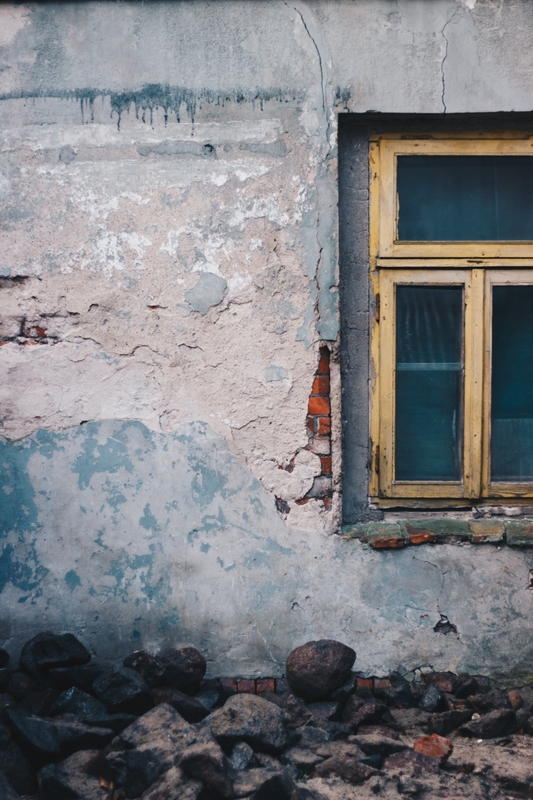 If isolated to the walls of a classroom, we will not make gains or solve important problems that are complicated and require many perspectives. Effective communication does not mean everyone is in agreement or that people will leave hand in hand. It is about reasonable reactions, knowing when to walk it off, when to counter, or when to stand strong. Reasonable, effective communication respects people like boxers do in the ring. When boxers enter the ring, they size each other up. They test their own strategy to see what will land and what will be deflected. They are learning their opponent’s style to understand how to counter, how to attack, and how to ultimately win. Professional boxers do not jump off the ropes swinging and hoping something lands. Great matches are equal, fair, and respectful. Wins for boxers are not just knock outs. Wins are a result of hours of practice, strategy, and focus. A win is not about humiliation or below the belt hits. A win is built on a foundation of respect for the sport and for the opponent. 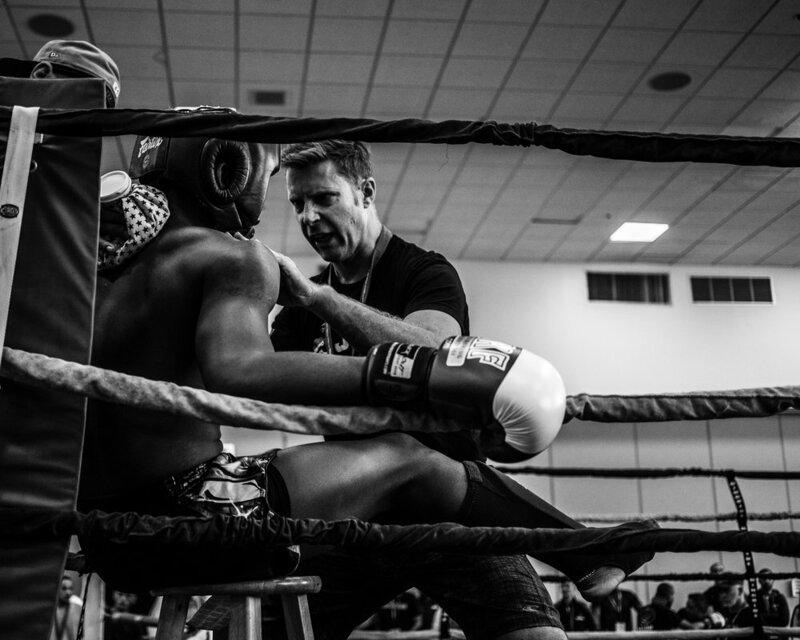 When boxers lace up to enter the ring, they do so with a plan and a goal, but remain open to learn from their opponent, to understand their stance and their strategy. It is a nuanced dance, much like the art of communicating. In echo chambers, it is easy to lob anger bombs and think one is in the ring. But throwing slurs and digs are coward moves well outside the ropes of the ring. To enter the ring indicates a boxer has the skills and confidence to face an opponent. At that moment, they are fully seen. We, as communicators must be fully seen and not hide behind our chamber walls. It isn’t good for our society to perpetuate echo chambers and polarized behavior by standing complacently by. However, if I wasn’t equipped to enter the ring, I would avoid it as well. What was it we did in the classroom, and was there a way to make it accessible to others? That is where this series of posts came from, a desire to give people, reasonables, the tools needed to enter the ring and be seen. In the following posts you will find a quick acronym to practice so when the boxing rings of arguments arise, you feel confident to enter the conversation, assess your opponent, make room for their skills, and dance the nuanced dance of discourse and communication. I see our goal or win in these rings as consistent assessment. Did I learn something about my opponent? Did I learn something about myself? When we LACE UP, we enter the ring respectfully and reasonably prepared. We Learn, Assess, Consider, and Enter the ring recognizing that it is UP to us to bridge the polarized oppositions, to create a place for honest and considerate discussions, with the hope of mutual understanding. On November 8, 2016, millions of people went to bed confused. What did we miss? How did Donald Trump take the lead when all of the polls and commentary showed he would not win? People went to bed confused, and woke up stunned. No matter which side of the aisle you sat on, there were questions. What signs did the media, pollsters, and statisticians miss? 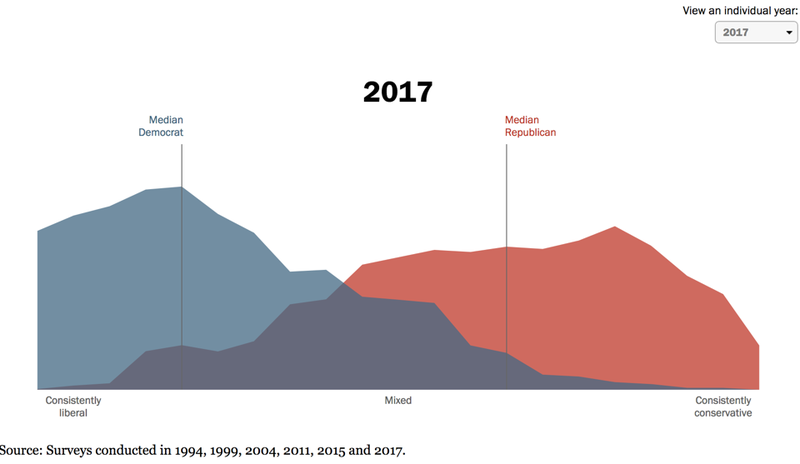 How did the pattern of politics take such an abrupt turn? I became curious and started examining my experience and that of others. What changed in this election? What elements were so different that they threw off the usual predictors? How did we collectively miss what now seems so obvious? In the short story, “The Destructors,” Graham Greene shows the devastation caused by holding on to the past. Statements like, “It was better when…” or, “If we could only return to a simpler time…”, are indicators of a false sense of security—a desire to escape the present day because of some sense of disillusionment or discomfort. The Destructors, a group of surly pre-teens led by Trevor, tore down Old Man Thomas’s house that had survived the WWII bombings in London when nothing else did. The house stood among the rubble and ruin as a symbol of what was and not what could be. As long as it stood, the rest of society, broken and devastated by the war, could not fully move forward. “And destruction after all is a form of creation.” There is no going back, making “great again”, or returning to “like it used to be.” Those are status quo statements littered with fallacies and contradictions. The morning after the election I felt like Old Man Thomas at the end of the short story, staring at his house, now a pile of broken wood and buried memories. My ideas were built on a faulty foundation and I didn’t know it until they were a pile in front of me. I started to read. I started to research. I had to know why I had been so confident in a Clinton victory when Trump took the win in the end. How did it happen, and how did I not see it? I was in my own echo chamber, filled with ideas that indicated that Clinton would win. I prided myself on being a moderate and a consumer of neutral news sources, but somehow, I missed something. Perhaps, I was caught up in the projections and I wasn’t paying attention to what was happening in the moment. There was an uprise to the perceived destruction caused by the Obama administration. Fear and cynicism had taken root in an America that I wasn’t in touch with and was blinded to by my own privilege. I was not present in the perspectives surrounding me, I was present only in my Old Man Thomas house, in my own echo chamber. This process of being present outside of the echo chamber ensures that we won’t be trapped by polarized thought processes. We can’t just be Old Man Thomas, holding onto the house and the nostalgia that goes with it, and we can’t just be Trevor, pulling down an outdated past. Instead, we must be interested in understanding the need to hold onto and the need to destroy. If we search for the ability to relate versus trying to win or convince, then we build understanding. I knew people who did this, and we have people who are like this all over history as well. They are people who are vulnerable, empathetic, and willing. They embody the qualities of a reasonable communicator, or reasonable, and I wanted to be one.